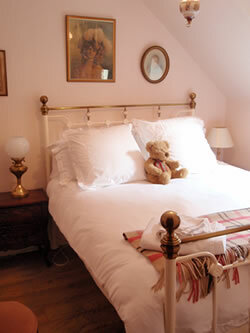 Seilie Cottage can sleep up to 4 people comfortably in its 2 bedrooms, and in addition there is a sofabed in the lounge if required. 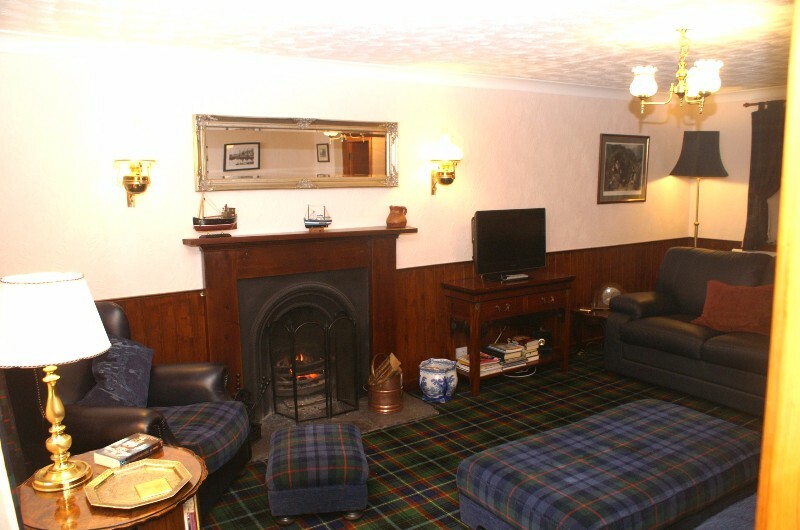 On the ground floor is a large lounge featuring a wood burning stove in an antique fireplace. 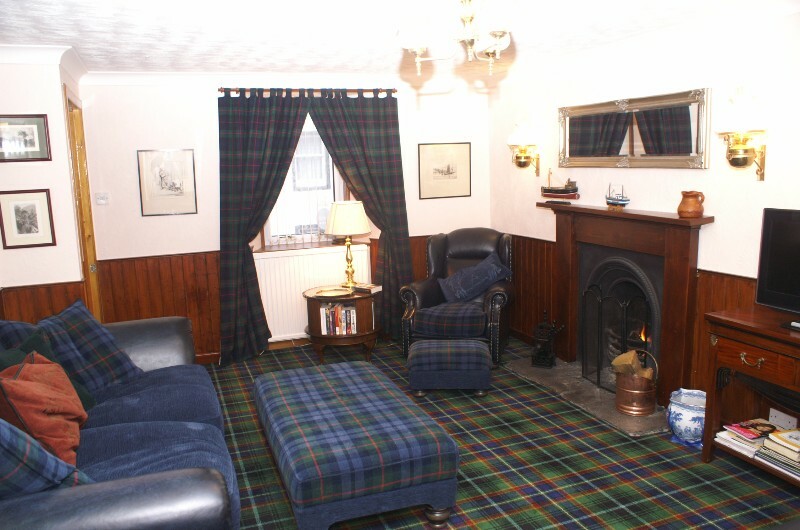 The lounge is a very comfortably furnished room presented in a traditional scottish style. 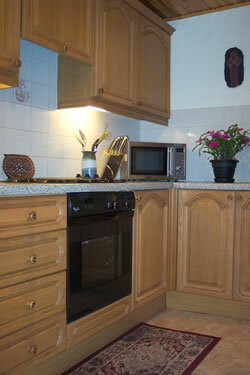 A colour TV with integral Freeview & DVD player are provided for guests use. Off the lounge is a cloakroom with WC and wash-hand basin. There is also space to hang coats. 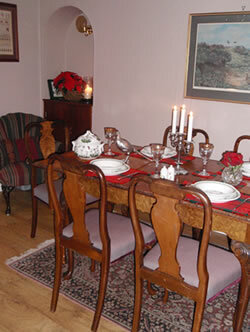 On the first floor is the sitting/dining room which has a couple of comfy antique arm chairs, and space for up to six to dine comfortably. Also on this floor is well equipped dining kitchen where you will find all that you are likely to need – a fridge-freezer, electric oven & hob, microwave, toaster, and coffee maker. On this level is the back door which leads to the terraced garden and patio. On the second floor are two bedrooms. Both have king sized extremely comfortable brass beds. The first bedroom has views over the Moray Firth. The second bedroom looks out over the garden. The bathroom has an electric shower over the bath. A hairdrier and bathrobes are provided. The outbuilding directly outside the back door houses the central heating boiler, washing machine, tumble dryer, BBQ, fishing rods, recycling bags and bins. There is a small table and two chairs located just outside back door for smokers. It is appreciated that guests do not smoke in the house. The second level of garden has a beautiful stone patio (this was literally a labour of love by the previous owners –they had to carry each stone & bag of sand by hand). The patio has table & chairs- ideal for al fresco dining and BBQs. There are also a couple of loungers for enjoying the sun under the apple trees. The garden is very sheltered and a great suntrap – it gets the sun all day. 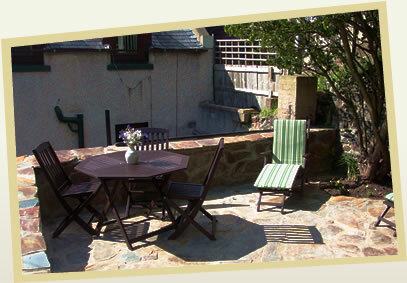 The third terrace at the top of the garden has fantastic views of the surrounding cliffs and the Moray Firth. A great place to relax with a glass of wine, a good book or just enjoy the wonderful view!